Avoid interrupted workflow with expert installations. Many organizations find themselves at the mercy of the techs and consultants whose patchwork installation efforts have created unstable environments doomed to failure. Avoid problems with professional installations. NTwebs will integrate all the services provided by all the vendors and custom design a system that best suits your business. You deal with only one vendor that keeps your system trouble free, functioning and taking full advantage of the most productive and cost-effective technologies. As your business grows the NTwebs team is there to provide you with the newest technology to help you maintain your competitive edge. 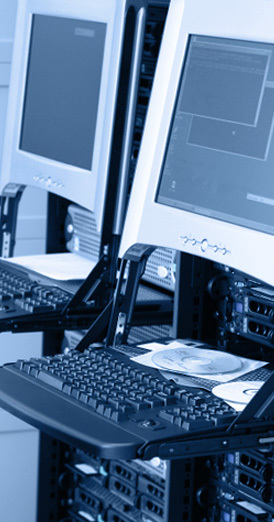 Contact NTwebs today to get a FREE Evaluation of your current IT monitoring and an IT solution package that supports your operation and your success. "I want you all to know how very pleased we are with the quality of service your company provides. We sincerely appreciate your team’s professionalism and responsiveness and the difference it has made to our practice. It’s a pleasure to come to work on Monday morning without the dreaded feeling of an impending computer disaster. You have delivered everything you promised and more. I definitely made the right decision to take the giant leap and hand over the IT reins to NTwebs. It is a pleasure to work with people who know the meaning of service and efficiency."